Discover Conté à Paris Soft Pastels, soft and extremely easy to apply. Artist's grade pigments give bright, strong, clean colours and the creamy texture allows exceptional flow of application to enable better expression, spontaneity and versatility. The range includes 50 colours matching the Colour Carré Crayons spectrum. Available in assorted sets of 10, 20, 40 and 50. The exceptional diameter (5mm) of the Conté à Paris Pastel Pencil lead gives genuine freedom of creation and has an unrivalled feel. 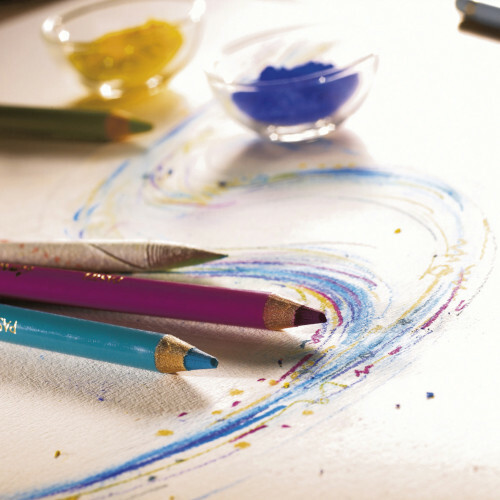 It is the perfect pencil companion to Soft Pastels because its lead is slightly harder, with less pigment. 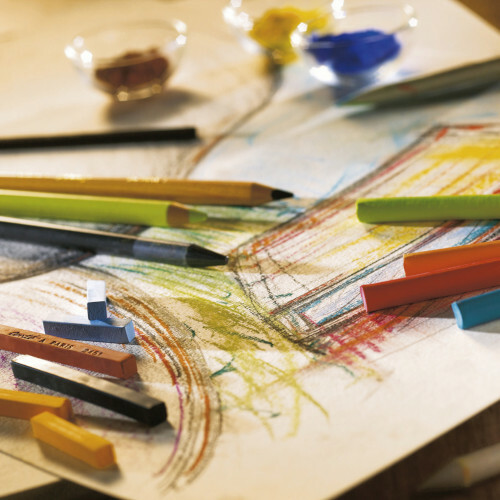 When you require detail for small and medium sized formats, Pastel Pencil is preferable to Soft Pastels and Carré Crayons. In contrast with Soft Pastels, Pastel Pencils are best used as pure colours laid out in patchwork fashion, side by side - rather than layered - so the shades are not diminished. Available in a range of 48 vibrant colours, loose and in sets. Learn how to develop a well-balanced and visually interesting composition that focuses on line quality and colour. 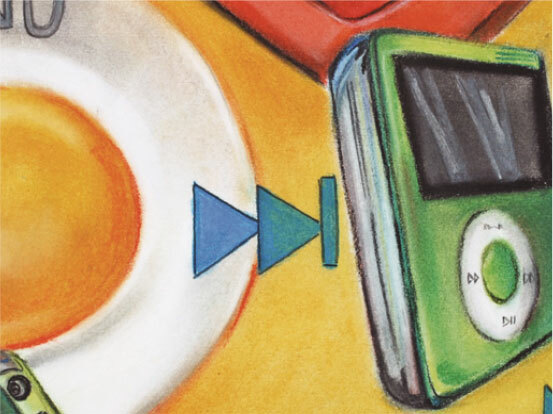 In this lesson, you will learn how to use Conté à Paris Colour Crayons to create variation in line and intensity and how to combine them with Pastel Pencils to create finer detail. © 2018 Conté à Paris. All Rights Reserved. Sign up to our newseletter to get technical advice, news on product realeases and get to meet the artists who use on our products.